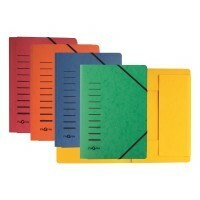 Easily personalised index file with 5 sections and additional compartment. Provides quick access to project information and is ideal for documents with various elements. 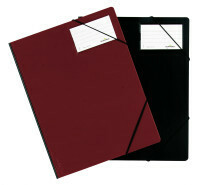 Easily personalised organisation folder with rotating wheel which allows users to classify documents. Made of cardboard with 3 inner flaps and elastic holders over two corners. 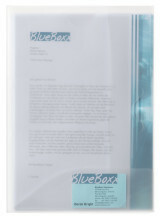 MULTIFILE is a transparent folder made of sturdy polypropylene with two inner flaps. Organisation folder with "collection" compartment and project timer. Tasks marked as "to do's" can be distributed over the 1-31 days and marked with tabs.